Livestock farming sector of the Group includes the production of pork, beef and milk. In 2012-2013 the company realized the first in Ukraine dairy complex with innovative project solutions – “Petrykivske Moloko”. The project has become unique not only with its innovative technologies (which were previously used only in several business segments) but in that there is going to be the biggest amount of holstein cattle at one production site in Ukraine – 5 000 heads, 2 400 of which will be dairy cows. 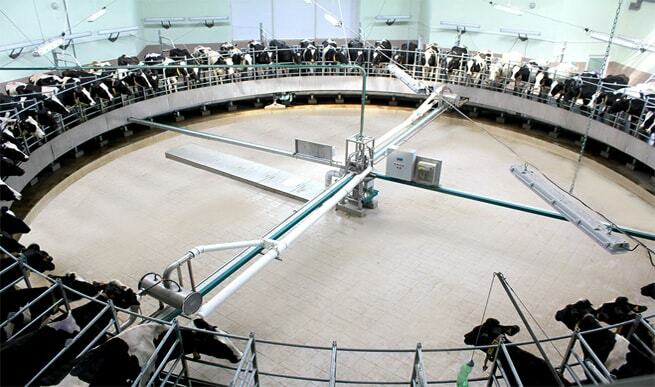 Project capacities – 70 tons of milk per day – are planned for 2014. Average daily yield for one cow is 30 litres. 75 new jobs. Total area – 56 ha. 251 million UAH – the dairy farm “Petrykivske Moloko”. To improve efficiency, the technological process is divided into separate production cycles:the re-establishment (mother complex), rearing and fattening. As the basis for growing pigs and young cattle the policy of biological safety, which includes requirements for the segregation of groups of animals according to their specialization during feeding, isolation, animal farms, monitoring of animals that arrive at the complex, monitoring the health of livestock and other preventive measures are used. Due to such conditions of living, a rapid growth rate of livestock is ensured, intensive development of internal organs and the reproductive system that allows us to obtain significant results. Apart from cattle at the dairy farm “Petrykivske moloko” , the group has 3 500 heads of cattle, including 1 121 dairy cows, in farms. The average yield per forage cow for the year of 2012 amounted 5 730 kg of milk, at some farms – 6 300 kg of milk per cow. The farm has a pedigree farm which specializes in breeding Ukrainian black-speckled breed of cattle that affects the quality improvement of livestock. The industry has used artificial insemination of cows and heifers, due to which the calf birth is over 90%. 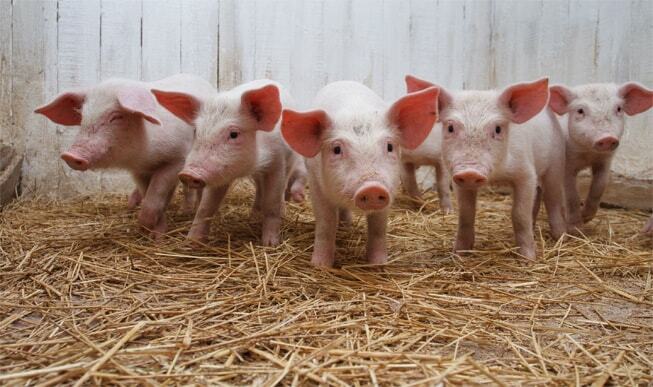 There are 11 500 pigs in the farms, among which – 931 sows. There were 17 333 piglets born in 2012. Thanks to full feeding, young species reach weight of 110 kg each in a period of 175 days. Management specialists are constantly searching for new high-technology production, reconstructing the farms using modern equipment. The company works closely with leading domestic companies specializing in genetics of pigs and cattle.